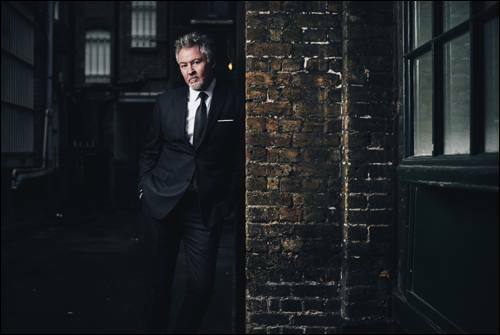 As a girl brought up in the 80s, I am a natural fan of Londoner Paul Young (born in Luton) like all my friends in the same 40+ age group. I still remember when a group of us dressed up with a shiny red body top and neon leg warmers prepared for a dance show at school along the tune Love of the Common People which in 1983 was a big hit. When I recently talked to Paul Young, now 60, he gave me the impression to be a nice naturally shy guy who does not particularly like the limelight. At his most famous back in the mid-Eighties, for several years Paul Young was one of the most famous solo artists in the UK and considered to be a heart-throb. 33 years after his first chart hit, he has gone back to his soulful roots in his latest album, Good Thing, which is a collection of classic soul covers. Although we may think that he has disappeared from the public eye, Paul has never stopped touring the world with his band Los Pacaminos, which he founded 20 years ago as a hobby. Q: Your latest album ‘Good Thing’ has a lot of soul and reminds me of one of my favourite songs of all time ‘Senza una donna’ which you sang in a duet with Italian singer songwriter Zucchero when I was a teenager. How does it feel to return to your soulful roots? PY: It was a good thing to do. It’s strange I didn’t plan it. It was an idea that came after Backer. But I realised that I have been working on and off with different people for the last 10-15 years. Maybe one track did sound really good and the rest was not right so once we started work on this project we thought this was a good idea. For me to get back to my roots again and understand where I came from and it might help me to know what the next album should be. Q: Talking about the Magic 80s, do you feel nostalgic about those years? PY: Yes because I sang with Zucchero I think I’ve got a nice place in the hearts of most Italians. I was also a guest on Zucchero’s special TV show on RAI 1. When the Magic 80s happened I was being successful and I enjoyed it. But when I look back, it was the last of the Golden Era for music where you could make a good living by being a musician and it’s all you had to do. You didn’t have to become a TV presenter as well and do a bit of music and do a bit of something else. You could just make a record and make money from the record. Nice and simple. And then in the Nineties everything started to change so I was really happy that I was around and my success came in the 80s. These days it’s hard enough to make money in the music business so you find that a lot of artists have a small career in the music industry and they use it as stepping stone to do other things. And there’s only the lucky 2-3% of people that get incredibly successful like Justin Timberlake, Farrell, Beyonce. But it doesn’t happen so much. And even they still do sign clothes, have perfumes and all this kind of stuff because music business is not as safe or lucrative as it used to be. For me this has been the biggest challenge. I had to spread myself out a whole lot more. Because I didn’t write songs as well. That’s the advantage that Zucchero had. He’s a very good songwriter. Zucchero is not just famous as a singer but also as a writer. He can safely continue in the music business and do just music. PY: I didn’t want to be part of any movement, New Romantics or Mod or any like this. Whatever I wore on stage I really chose for it to be functional because I was very active on stage so I couldn’t wear suits that were quite restrictive. If I did wear a suit it had to be made out of a much stronger material and a lot of the time through my most successful period I was wearing ski pants that stretched. I went back to wear suits just a little while ago while on a tour of Asia (Japan, Thailand) and when I dropped to my knees on the first show, I split the trousers on my knees. The suits you buy in the shop cannot stand the wear and tear that you give them on stage. Q: So are you back on ski pants then? PY: (Loud laugh) No, not quite. I am finding jeans that look kind of smart. Q: How do you live a normal life after the highs of such world success? PY: Strange but my personality on stage is not so different from my every day person. In fact, someone made an observation that the longer you become a musician, and the older you get they start to merge, until they meet in the middle. When I first started, my offstage personality was quite shy and quite and for my onstage personality I had to develop more. So the kind of person to see now is the same person you see on stage. I’m quite approachable. I’ve never found it difficult to just go back to being a family man and doing normal things. Q: You have been key to the success of Band Aid’s ‘Do they know it’s Christmas’ song and project which was revolutionary for the time. If you were to plan a Band Aid 2 campaign now, which cause would you support? And which musicians would you like to be involved? PY: I am really shocked and saddened by the massacre in Syria. I do realise it is a difficult position to be. I don’t know if just raising money would help that much. But as a political situation, it’s very very delicate and you’d have to be very careful how the West deals with Russia’s involvement. I don’t know whether a concert would help that much. It would be nice to choose younger stars and R&B stars like Rita Ora. Someone from the old days… I would like to do something with Seal and maybe the New Romantics, who were very popular in Italy. 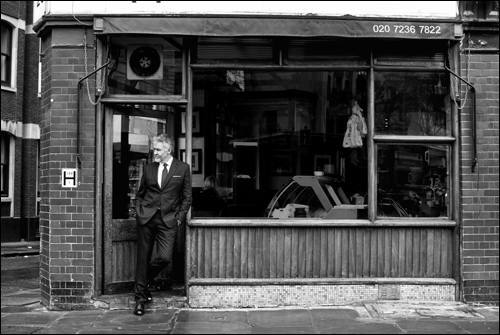 Paul Young’s album Good Thing and his single L-O-V-E are out now. 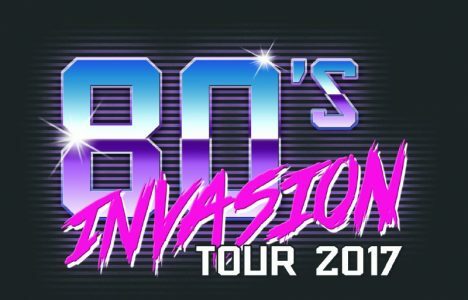 The 80s Invasion Tour 2017 tickets are on sale now. 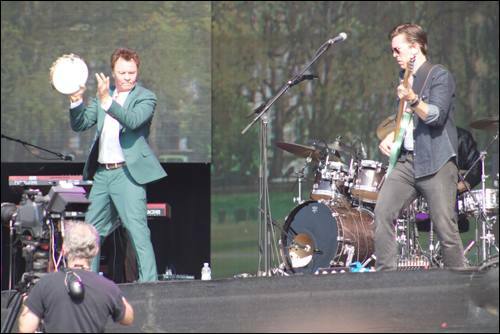 The concert will be featuring 80s legends Paul Young, Martika, Toyah and China Crisis. The London concert will be at LONDON Indigo2 on Thursday 16th March 2017. If you love the 80s watch this video! This entry was posted on Tuesday, October 25th, 2016 at 11:05 am and is filed under Attractions. You can follow any responses to this entry through the RSS 2.0 feed. Both comments and pings are currently closed.